Classic Motor Show at Walsall Arboretum on right now! St. George’s Day bash at Walsall Wood today! 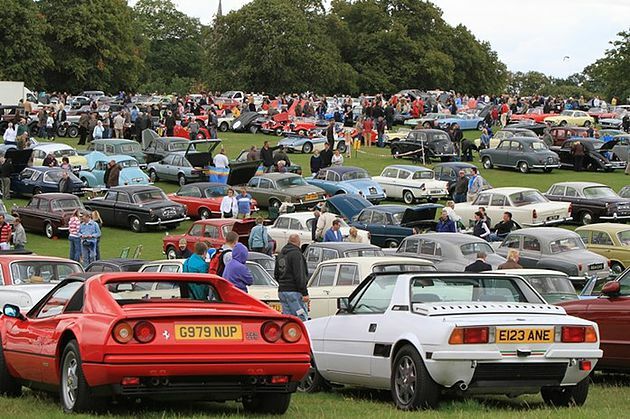 Classic Motor Show at Walsall Arboretum this Sunday! Friend of the blog and top local history author Clive Roberts has been in touch to let me know that there’s a Classic Car Show on at Walsall Arboretum this Sunday 16th July 2017. Fantastic live music at The Chase Inn this evening! 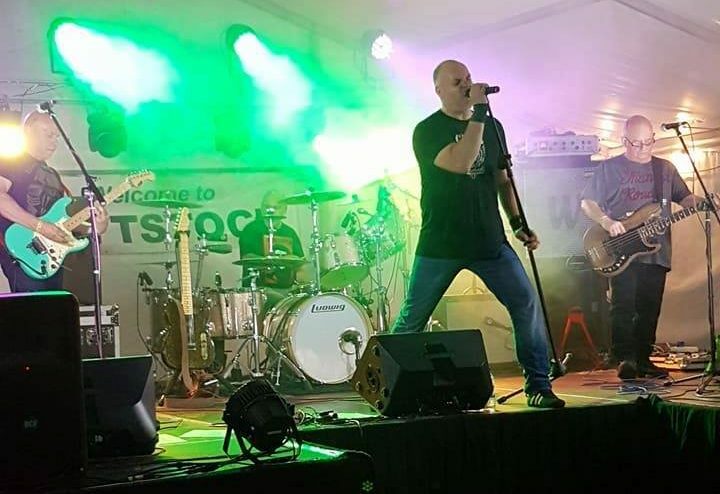 The award-winning Chase Inn at Newtown, Brownhills goes from strength to strength – there’s not only great ale and a warm, welcoming atmosphere, but great live music most weekends, too – and there’s a great act on this weekend. Great live band Dark Large tonight at the Chase Inn! 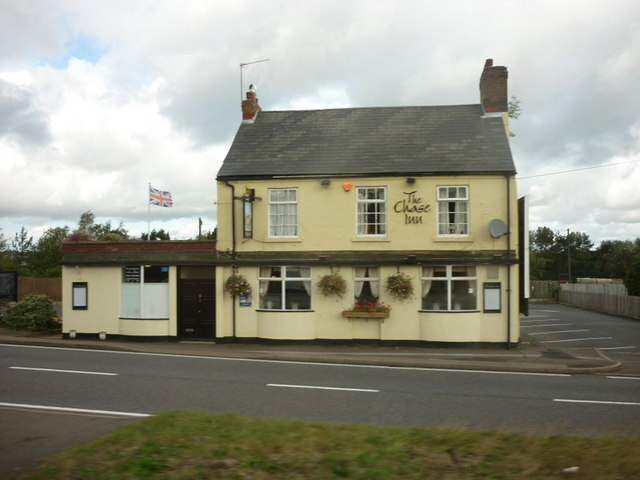 The good folk of the local CAMRA cider and Perry pub of the year, the Chase Inn at Newtown, Brownhills have been in touch to let me know that there’s live music at the popular Brownhills pub tonight (Saturday 27th May 2017), with live music on stage from rock covers band Dark Page live from 9pm until late. 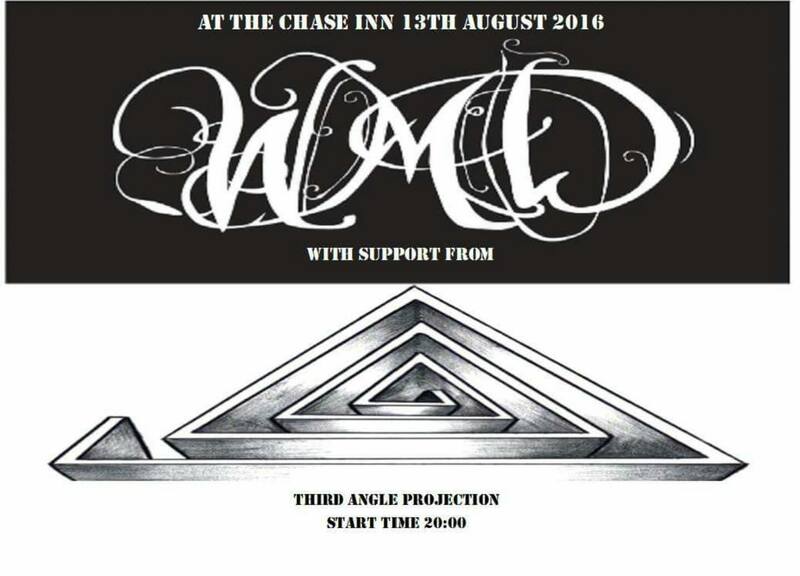 Live music and award winning drinks at the Chase Inn tonight! 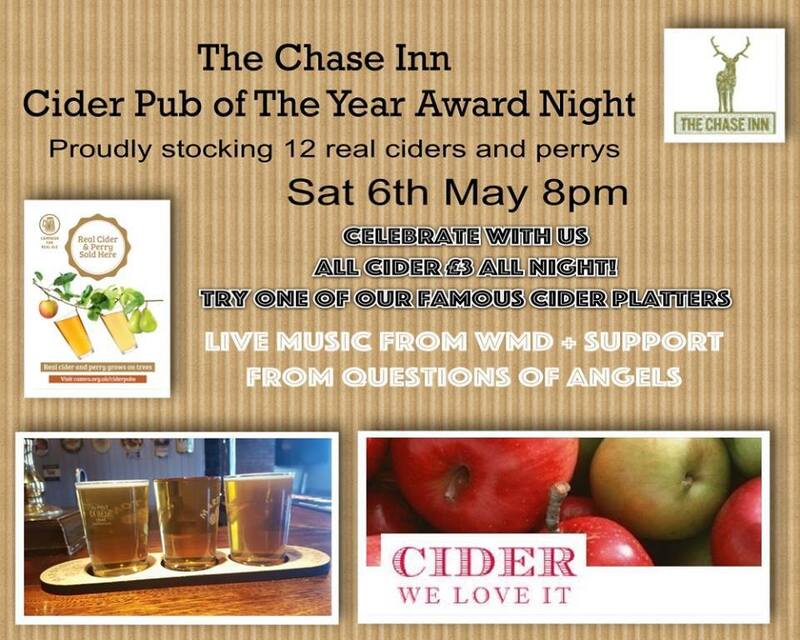 Tonight (Saturday, 6th May 2017) it’s a rather special occasion at the Chase Inn at Newtown, Brownhills as they receive their local CAMRA award for Cider Pub of the Year – there’s a range of 12 ciders and perrys, plus live music from two excellent local bands. 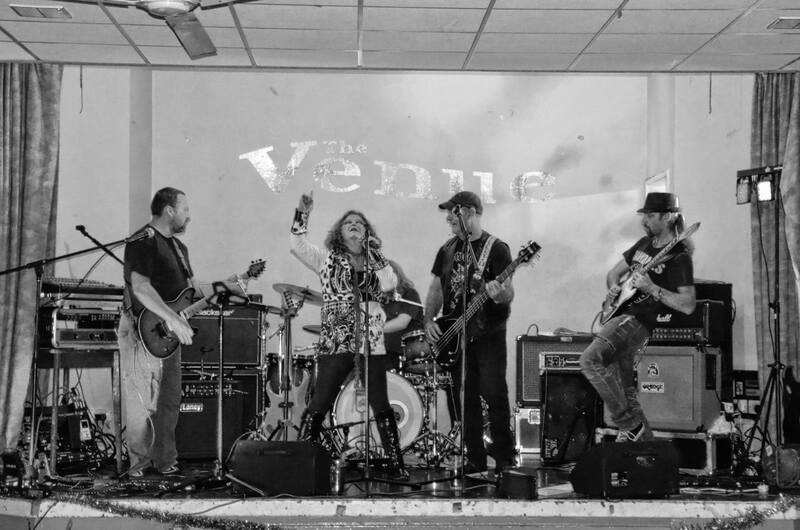 The folks from the Chase Inn at Newtown, Brownhills has been in touch to let me know that there’s live music on again at the popular Brownhills pub this evening (Saturday 29th April 2017), with female-fronted rock act Capo 4 live tonight from 8:00pm – and you’d be a fool to miss it! St. George’s Day party at Walsall Wood this Sunday! 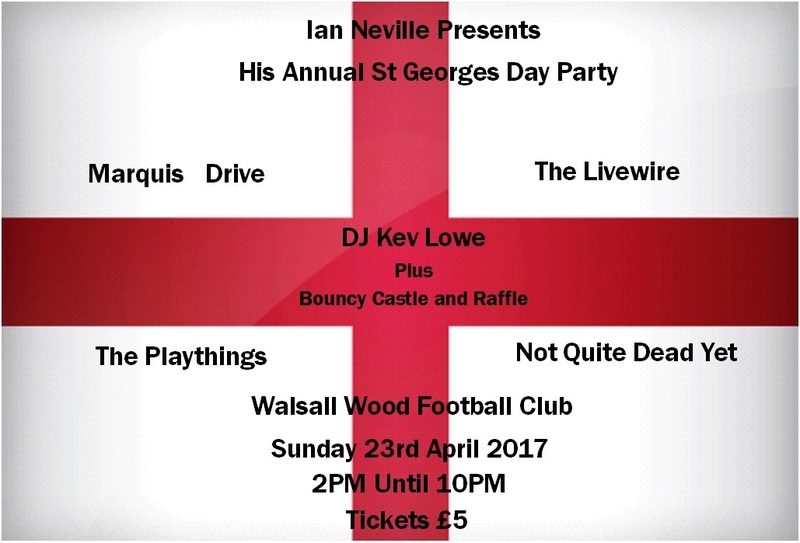 With the local Remembrance appeals in mind, I thought I’d advertise this event on Sunday (23rd April 2017): a great St George’s day party at Walsall Wood Football Club hosted by the Bard of Brownhills himself, Ian Neville. 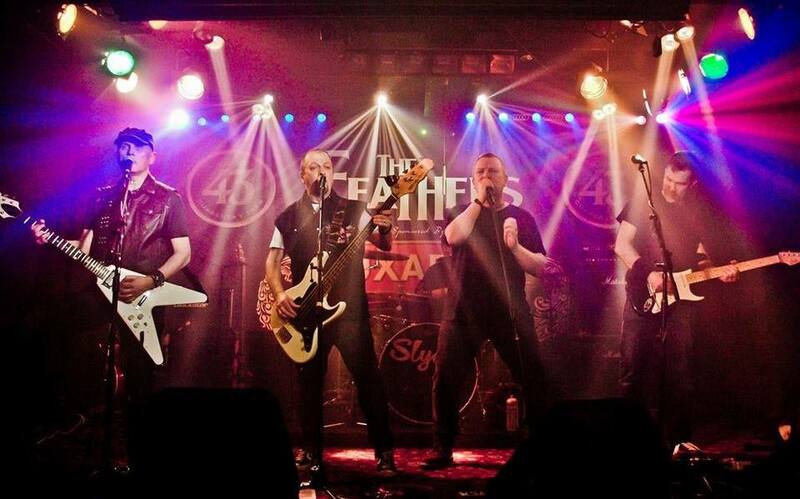 The folks from the Chase Inn at Newtown, Brownhills has been in touch to let me know that there’s live music on again at the popular Brownhills pub this evening (Saturday 1st April 2017), with popular local rock act White Tygër live tonight from 9:00pm. 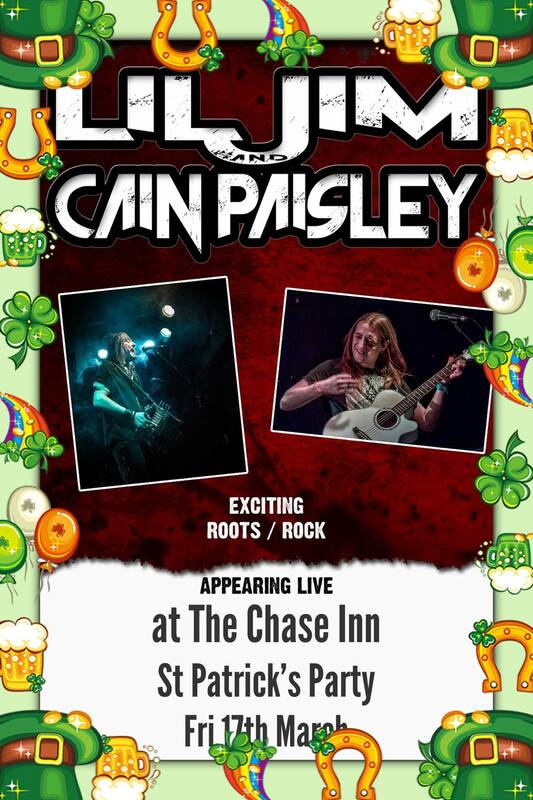 Foot stomping live music and a great St Patrick’s Day party tonight at the Chase Inn! The staff from the Chase Inn at Newtown, Brownhills have been in touch to let me know that there’s a fantastic St. Patrick’s ay party tonight at the premier local pub for live music and great ale! 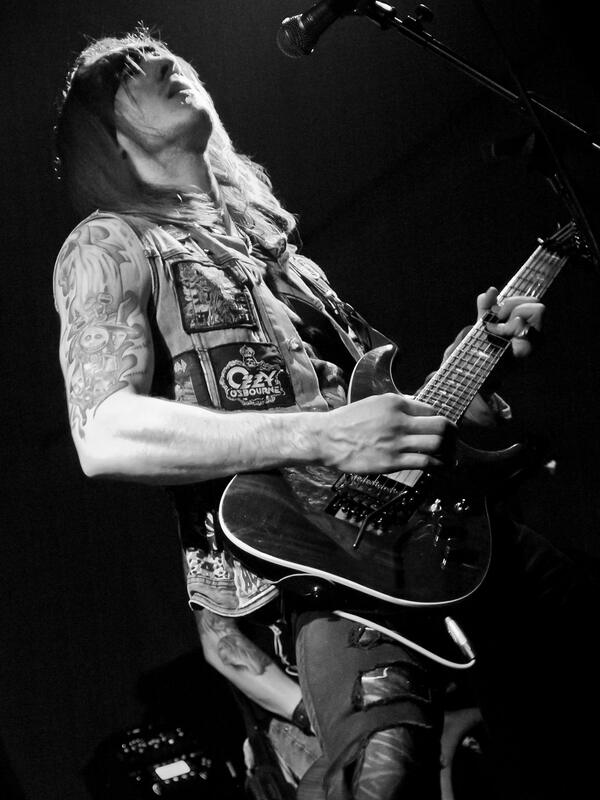 Great live music at The Chase Inn this evening, bargain drinks from 7-9pm! The staff from the Chase Inn at Newtown, Brownhills have been in touch to let me know that there’s live music on again this evening at the popular Brownhills pub. 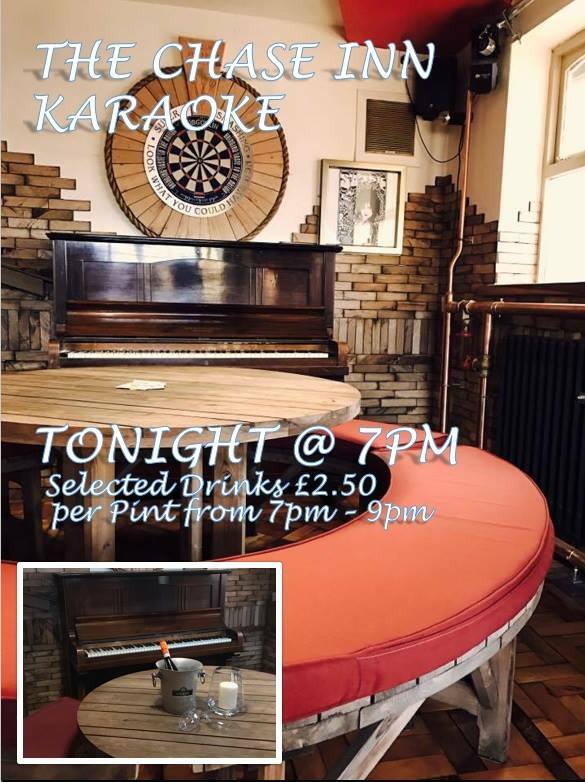 Karaoke night at the Chase Inn – get down there quick! 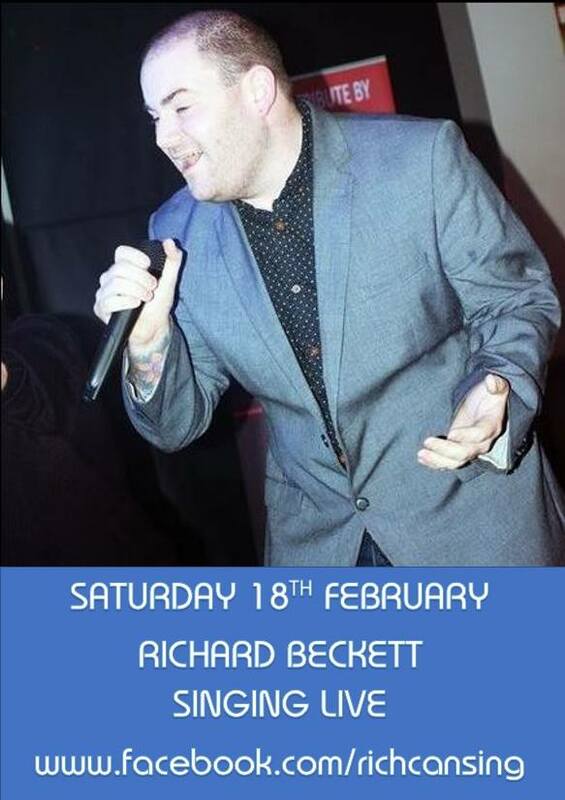 If y9u get down there quick, it’s currently Karaoke tonight (Thursday 9th February 2017) at the Chase Inn up on the A5 Newtown at Brownhills. 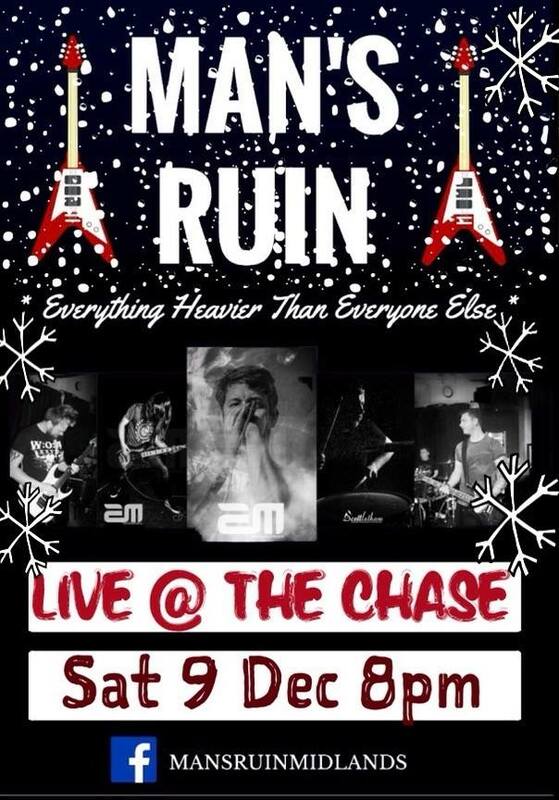 The staff from the Chase Inn at Newtown, Brownhills have been in touch to let me know that there’s live music on again this weekend at the popular Brownhills pub. 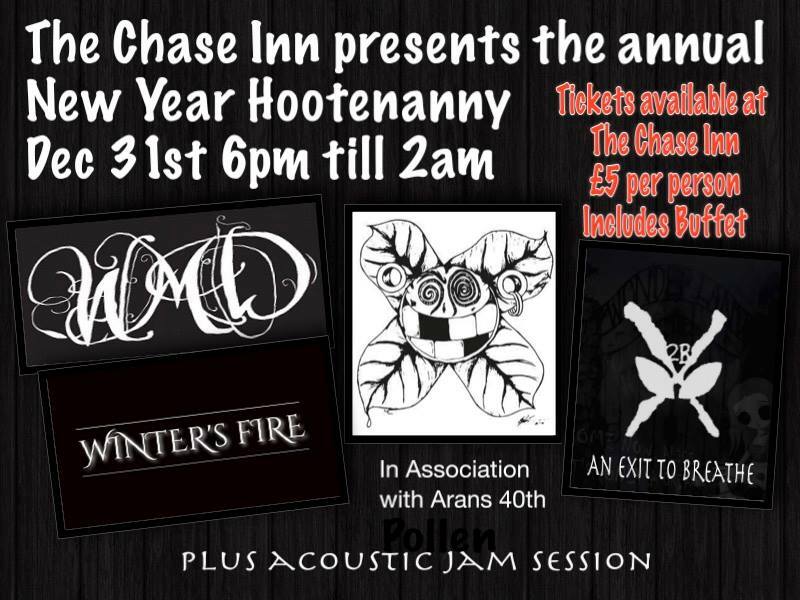 New Year Hootenanny at The Chase Inn tonight! 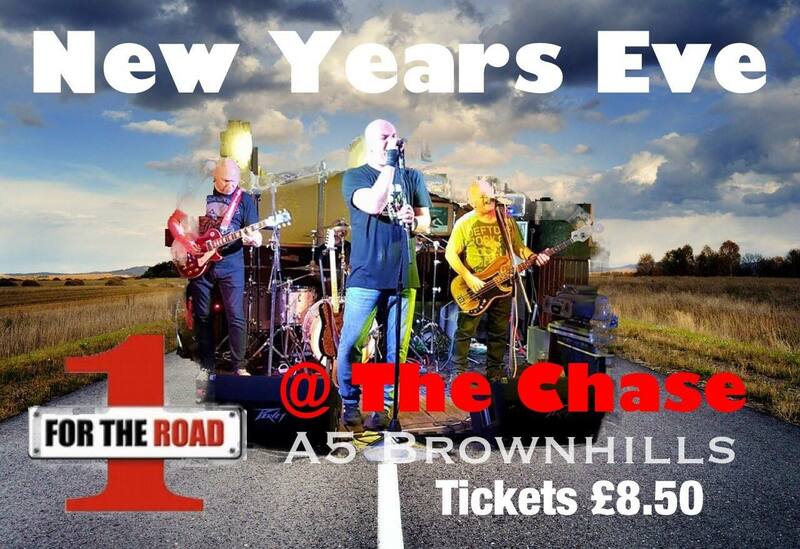 Why not welcome in 2017 in rock style this New Year’s Eve with a Hootenanny party at the Chase Inn, Newtown, Brownhills? Onesie party at the Chase Inn this Christmas Eve! Something cheesy for a festive Friday? 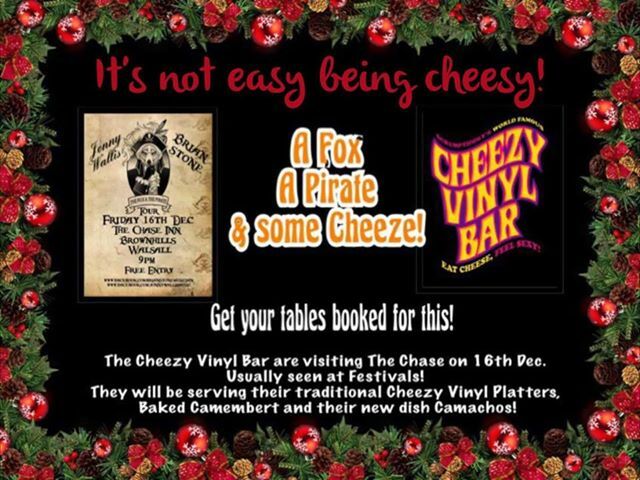 There’s a great acoustic music and food treat in store for punters at the Chase Inn, Brownhills this evening (Friday 16th December 2016) with a rather unique event. 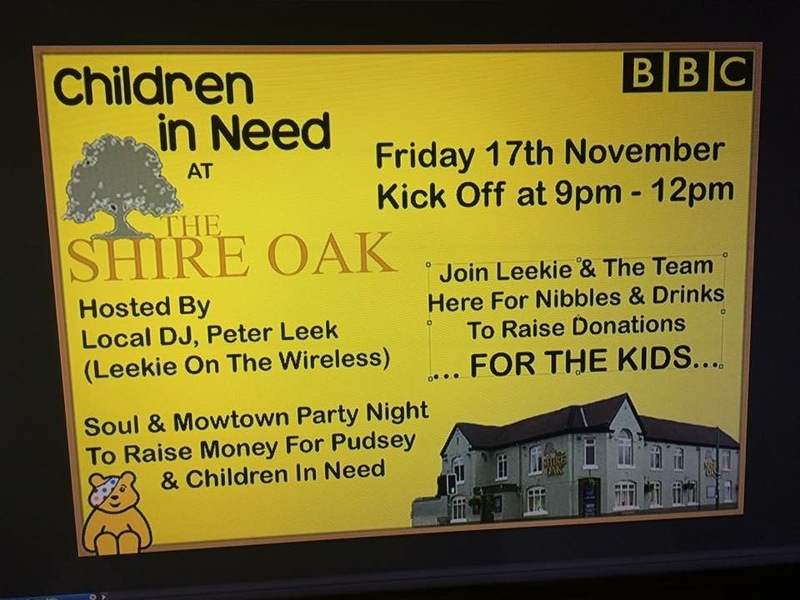 The team from the Chase Inn at Newtown, Brownhills have been in touch to let me know that there’s live music on again this evening at the popular Brownhills pub. 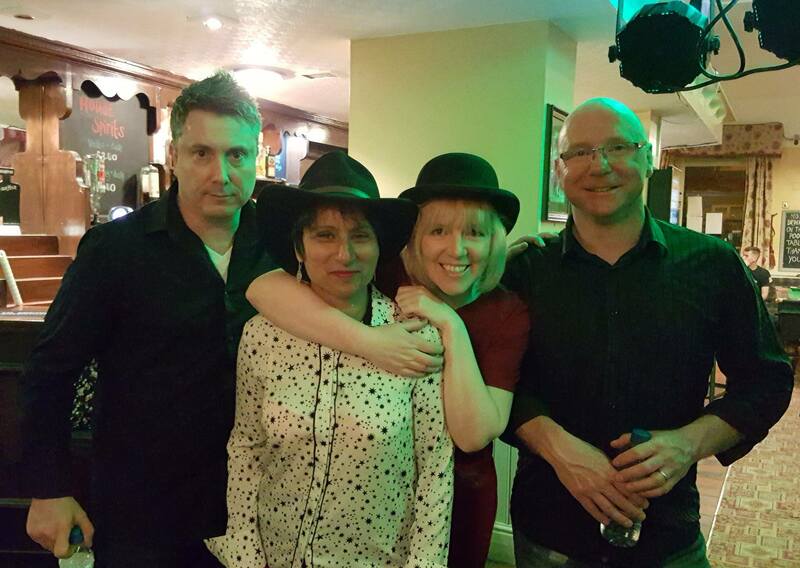 Enjoy live music at The Chase Inn this weekend! 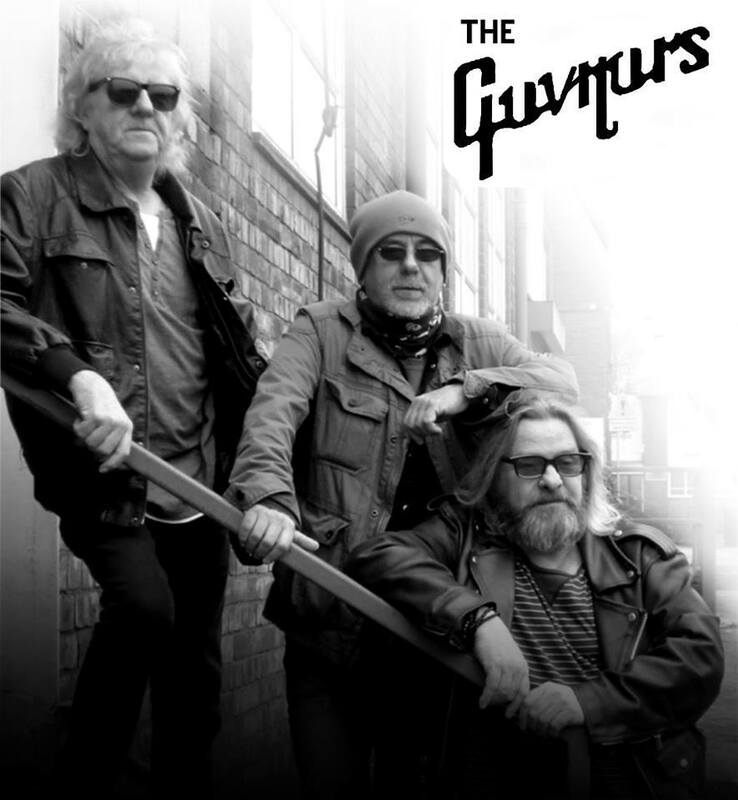 The Chase Inn at Newtown, Brownhills goes from strength to strength – there’s not only great ale and a warm, welcoming atmosphere, but great live music most weekends, too – and tonight (Saturday 26th November 2016) there’s top local pub rock band The Guvnors. Skittles and pie nights at the Chase Inn – starting tonight! 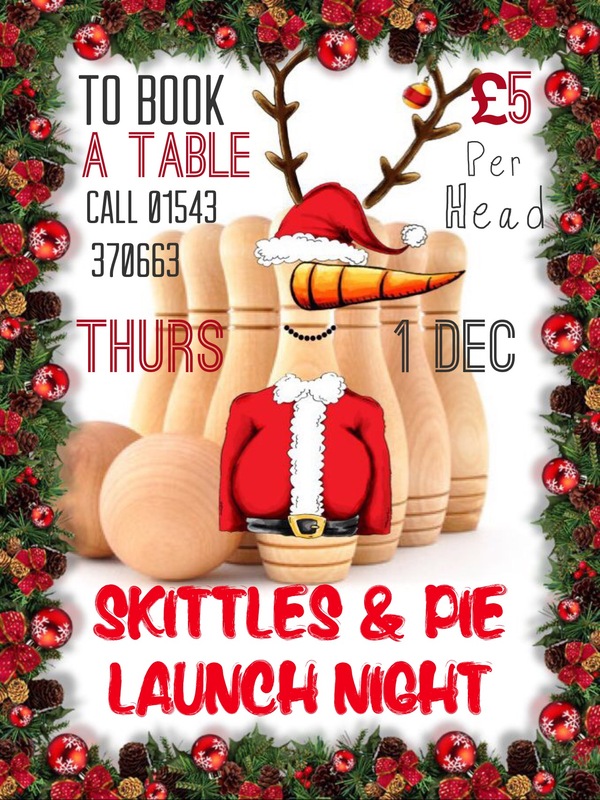 As well as being a great venue for live music and quality ale, the Chase Inn have started a new entertainment option for the pre-Christmas period: Skittles and pie nights, the first of which is tonight, 1st December 2016. 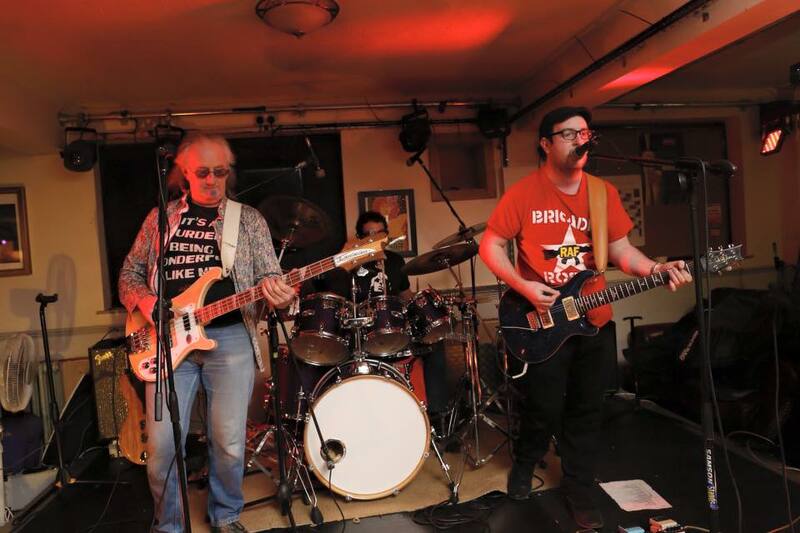 The Chase Inn at Newtown, Brownhills goes from strength to strength – there’s not only great ale and a warm, welcoming atmosphere, but great live music most weekends, too – and tonight (Saturday 26th November 2016) there’s top local band The Buzz. Acoustic Night at The Chase Inn tonight! The Chase Inn at Newtown, Brownhills goes from strength to strength – there’s not only great ale and a warm, welcoming atmosphere, but great live music too – and tonight, Thursday 17th November 2016, the pub has it’s regular Acoustic Night. The Chase Inn at Newtown, Brownhills goes from strength to strength – there’s not only great ale and a warm, welcoming atmosphere, but great live music too – and tonight, Thursday 10th November 2016, the pub has it’s regular Acoustic Night. The Chase Inn at Newtown, Brownhills goes from strength to strength – there’s not only great ale and a warm, welcoming atmosphere, but great live music too – and tonight, Thursday 3rd November 2016, the pub has it’s regular Acoustic Night. Great live music and free Halloween fancy dress disco at The Chase Inn tonight! 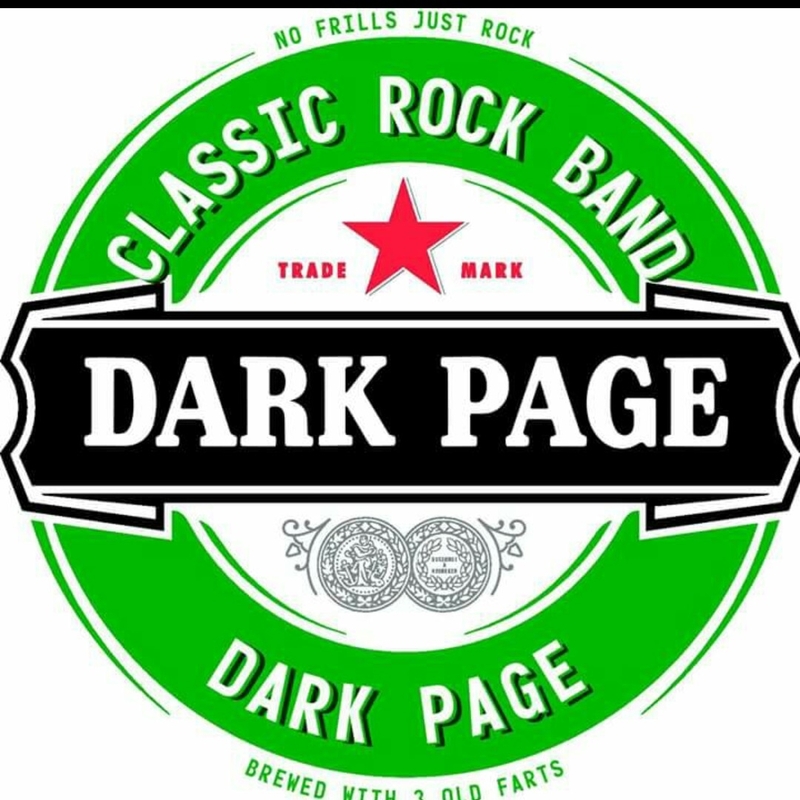 The good folk of the Chase Inn at Newtown, Brownhills have been in touch to let me know that there’s live music and Halloween fun with a free entry fancy dress disco at the popular Brownhills pub tonight (Saturday 29th October 2016), with live music on stage from rock covers band Dark Page live from 8pm until late. 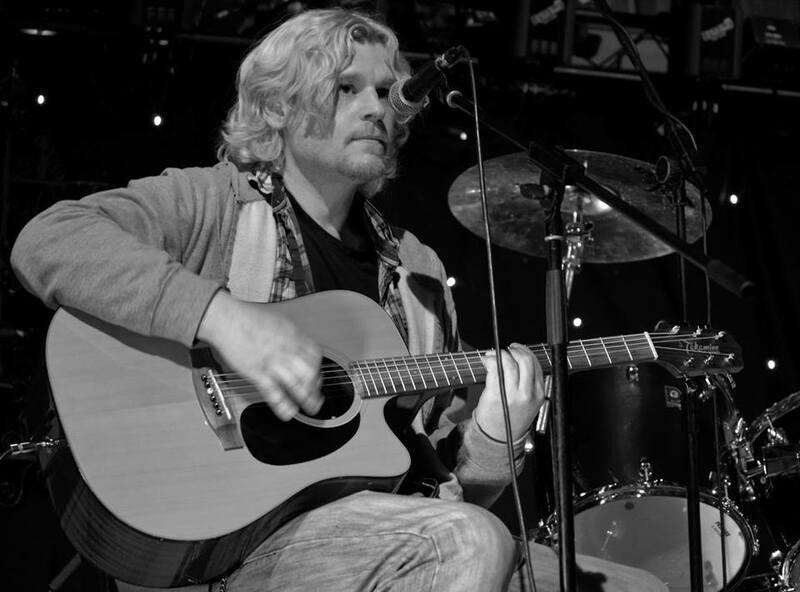 Acoustic Night at The Chase Inn tonight kicking off a packed weekend of live music and fun! The Chase Inn at Newtown, Brownhills goes from strength to strength – there’s not only great ale and a warm, welcoming atmosphere, but great live music too – and tonight, Thursday 27th October 2016, the pub has it’s regular Acoustic Night. The Chase Inn at Newtown, Brownhills goes from strength to strength – there’s not only great ale and a warm, welcoming atmosphere, but great live music too – and tonight, Thursday 20th October 2016, the pub has it’s regular Acoustic Night. 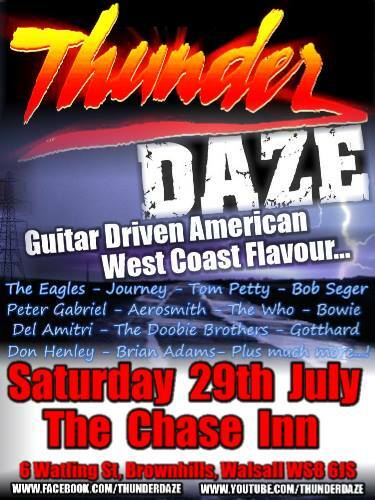 Fantastic live music at The Chase Inn this weekend! Acoustic Night at The Chase Inn this Thursday! The Chase Inn at Newtown, Brownhills goes from strength to strength – there’s not only great ale and a warm, welcoming atmosphere, but great live music too – and tonight, Thursday 13th October 2016, the pub has it’s regular Acoustic Night. The Chase Inn at Newtown, Brownhills goes from strength to strength – there’s not only great ale and a warm, welcoming atmosphere, but great live music too – and tonight, Thursday 29th September 2016, the pub has it’s first Acoustic Night. 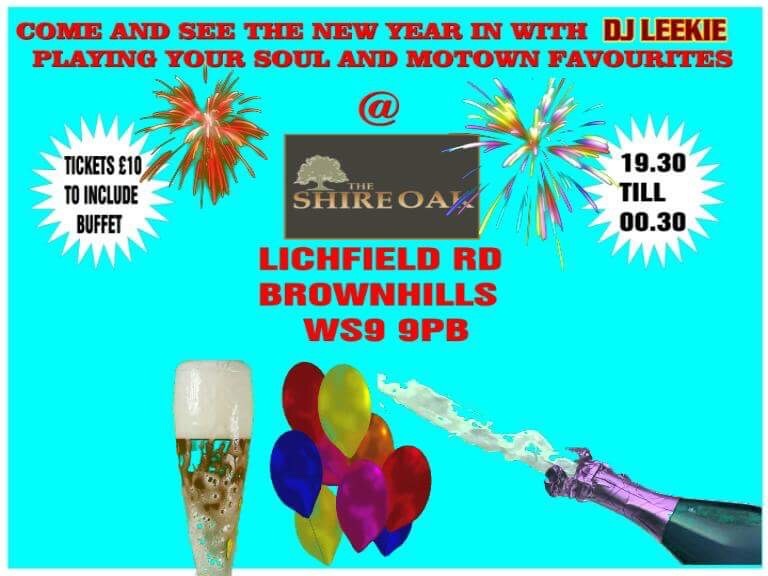 Disco at The Chase Inn tonight! The Chase Inn at Newtown, Brownhills goes from strength to strength – there’s not only great ale and a warm, welcoming atmosphere, but great live music most weekends, too – and there’s a great disco on tonight.